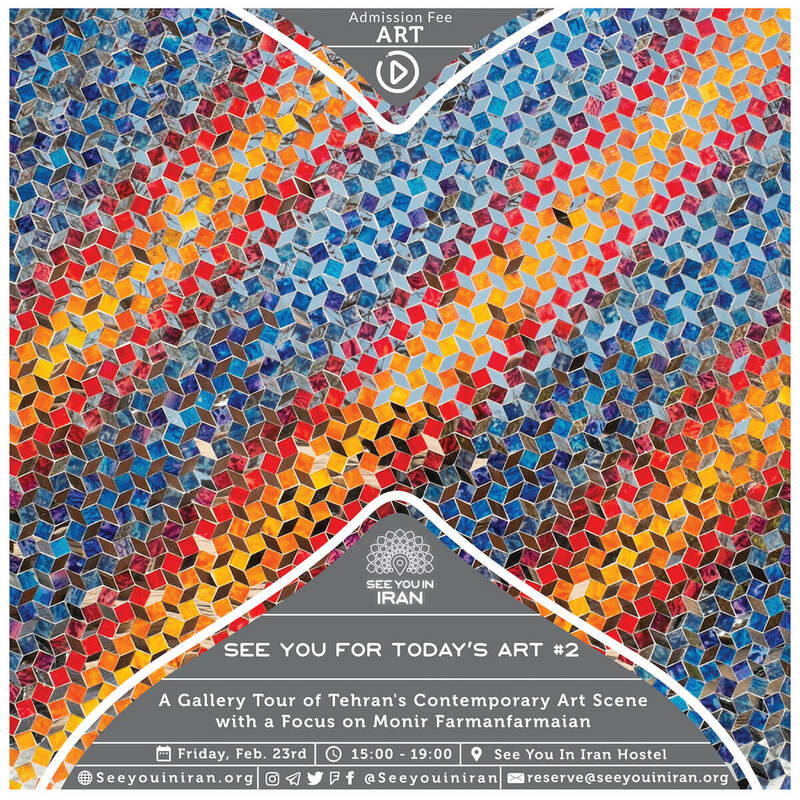 #SeeYouinIran is thrilled to be organizing a second See You for Today’s Art gallery tour in which we’ll be focusing on the work of pioneering Iranian artist, Monir Farmanfarmaian, and exploring how she pacifistically expressed her voice for the past 70 years of Iranian history. See You for Today’s Art participants will meet at the See You in Iran Hostel at 3:00 pm on Friday, February 23rd for an informative presentation about Farmanfarmaian by our creative director Mina Jazayeri. From there attendees will go to the Farmanfarmaian museum at the 200-year-old architectural landmark Negarestan Garden where they will be given an English-language introduction to Farmanfarmaian’s signature mirror mosaics, abstract monotypes and reverse glass paintings.